Reflexology is the ancient art of foot massage which originated in China and which was also known to the Ancient Egyptians. This Technique is done using the thumb and fingers on the nerve endings in the foot. There are over 7,200 nerve endings and each area of the foot is part of a zone that corresponds to all of the glands, organs and systems of the body. When these zones are stimulated, the corresponding area is helped and benefited in a positive way. 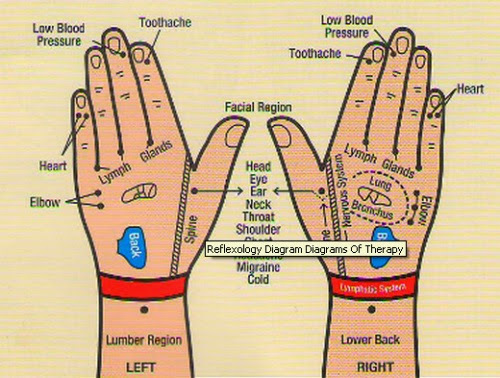 The main benefits of reflexology massages are relaxation and stress reduction. Pressure is applied to the foot, and sometimes hands and ears, and this stimulation will help to remove energy blockages in the zone that is being stimulated. This helps to improve circulation to that zone and throughout the body, causing the body to work as its own natural healer.